Continuing in our mission to offer the best beers available to our customers both near and far, we're pleased to announce that starting on July 20, 2017, Bruisin' Ales will be filling "growlers" on-site for the first time in its ten year history. Our aim in this project is to make beers that are otherwise not available in a take-home package accessible to both our in-store and online customers. We'll therefore be focusing on the most rare and limited draft-only releases from the best breweries represented on our shelves, as well as beers from smaller breweries that don't regularly package. In keeping with the high quality, and likely often high-gravity, of the beers we have on-tap, we'll only be filling 32oz Bruisin' Ales logo-ed bottles that we have washed and sanitized ourselves. The bottles will be filled and capped with the same method and care employed by many smaller breweries, and are fitted with a swing-top lid for re-use. A $5 deposit for the bottle will be included in the price of each full growler and returns will be accepted in-store. We'll be tapping one keg at a time and offering only a very limited number of growlers from each so please act quickly when you see something you want. 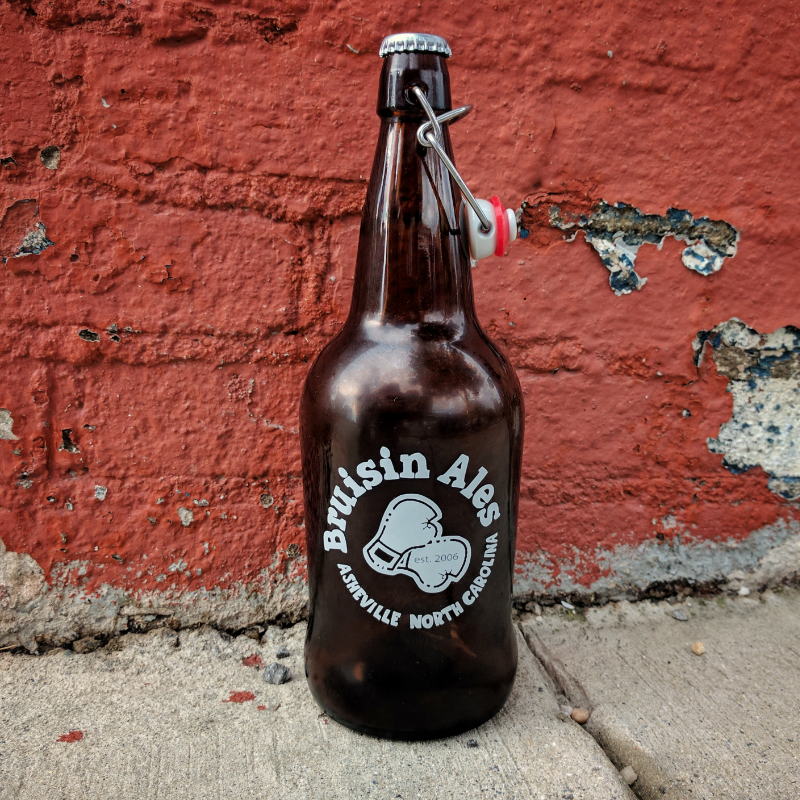 For shipping purposes, a growler can be part of a larger order or ordered on its own (choose in-store pick-up option) and included with a separate shipping order. The growler bottles take up one spot in a 22oz/750ml box. Please allow a few extra days for your order to process so that we can ensure that you receive your fresh-filled growler within days of it shipping. We recommend that you consume the contents of your growler as soon as possible. Don't cellar it! Keep an eye on this page and all our social media accounts for upcoming tappings.